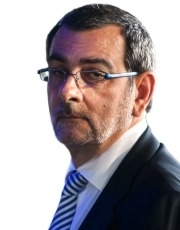 Luca Ciferri is the Europe Editor for Automotive News. Christine Hohmann-Dennhardt will move to VW Group from Daimler to become the troubled automaker's head of integrity and legal affairs. She starts Jan. 1. Volkswagen Group’s diesel scandal is so complex and wide-reaching that it will take months -- if not years -- before the company settles all of the matters related to its cheating on diesel emissions tests. VW is not the only one feeling the effects as the entire industry has taken a hit because of the company’s misguided actions. While there are plenty of losers as a result of Dieselgate there are also some winners. We will look at a few of each. One clear winner is the 65-year-old sweet-but-tough woman who, instead of retiring, will begin arguably the toughest job in the global auto industry. Christine Hohmann-Dennhardt starts as VW Group’s first board member for integrity and legal affairs on Jan. 1. She currently holds that same position at Daimler, which agreed to release her from her contract a year early to help VW clean up its mess. Hohmann-Dennhardt, who has a doctorate in law, left her job as a judge in the German Federal Constitutional Court to join Daimler in 2011. She arrived after the company was accused of bribery at its heavy truck division. She is the first female management board member in Daimler’s history and she will achieve that same milestone at VW Group. Another winner is Ferdinand Piech. The architect of the VW Group as we know it today didn’t want Martin Winterkorn to succeed him as VW Group chairman. His wish was granted when VW passed over Winterkorn in favor of group finance chief Hans Dieter Poetsch, who is a longtime Piech ally. Piech also did not want Winterkorn to remain VW Group CEO. Piech’s bid to get Winterkorn fired cost him his post on the supervisory board in April, but within six months Winterkorn was gone and another Piech ally, former Porsche CEO Matthias Mueller, had Winterkorn’s old job. Reports surfaced in April that while Piech was still chairman he was working behind the scenes to make Mueller VW Group CEO. Piech also falls into the loser category because the diesel scandal has wiped out a third of VW’s share value. That means the Piech-Porsche family’s VW investment has declined by roughly $9.9 billion since the scandal started. Consumers and the environment are clear winners. Dieselgate should lead to quicker adoption of emissions test procedures that will reduce the pollution produced by new vehicles and hopefully finally end the wide disparity between test-bench performance and real world driving. According to a report from the International Council on Clean Transportation the difference between the manufacturer type-approval data and real driving in Europe has widened to an average of 38 percent in 2014 from 8 percent in 2001. A final winner is VW itself. Europe’s largest automaker will pay high fines and face a long fight to re-establish its credibility, but it has the financial resources and the technical capabilities to do both. Topping the list of losers is the diesel engine. The powertrain is a non-factor in the world’s largest market, China. It also has a mere 5 percent share in the U.S. In Europe -- where more than half of new cars use diesel -- demand for the powertrain has been declining because of stricter rules on nitrogen oxide emissions and anti-diesel campaigns in cities such as Paris. There is no doubt, however, that diesel will survive in Europe, but with a lower share. What is difficult to predict is whether the U.S. or China will ever open their arms to the technology. The scandal has forced three key VW executives to fight for their careers. Heinz-Jakob Neusser, head of technical development at the core VW brand; Ulrich Hackenberg, Audi’s head of r&d; and Wolfgang Hatz, the VW Group’s engine chief and Porsche’s head of r&d all claim they are not to blame for the cheat software being installed in the 11 million affected vehicles. Reports say all three have been suspended -- but not fired -- pending the results of an investigation. It seems unlikely that any of these extremely skilled engineers will keep his job because being unaware of this problem constitutes a serious failure. The biggest loser is Winterkorn, who resigned as CEO less than a week after the scandal started. In his resignation letter, Winterkorn said that he was stunned that “misconduct on such a scale was possible in the Volkswagen Group.” We still are.